We’ve got everything you need to know about this year’s event! With the excitement of the Geneva International Auto Show now gone, it’s time for the U.S. to keep the ball rolling with the New York International Auto Show (NYIAS). This is the place to be for East Coast enthusiasts and buyers, promising a huge number of cars on display and copious activities to sate your auto appetite. To get you pumped, we’re giving you the full rundown on all the big debuts, plus the details required if you wanna go there to see it happen in person. As in years past, the 2017 NYIAS is expected to draw over a million attendees onto the show floor, where roughly 1,000 vehicles are spread across 950,00 square feet of exhibit space. All the major brands are there, while niche makes like Koenigsegg, Rimac Automobili, Spyker, and Lucid Motors are also on hand. Updated 04/20/17: That’s a wrap from New York, folks! We’ve updated the guide with all the latest, check it out! 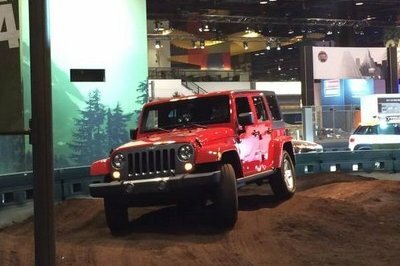 Continue reading to learn more about the 2017 New York International Auto Show. NYIAS provides one of the best opportunities on the East Coast to check out a huge assortment of the latest models, whether you’re looking to buy, or simply want to get up close and personal with that bedroom poster dream machine. While you can’t actually purchase a car at the show, there will be access to dealer locations and brochure information to follow up. Toyota RAV4 and Highlander Driving Experience – Get a taste for the latest Toyota SUVs and crossovers. Camp Jeep – Learn what makes Jeep a legend in the rough stuff. Opening Ceremonies – Includes a televised opening parade of vehicles, as well as a musical performance by the United States Military Academy West Point Band. A specially modified vehicle will also be donated to a veteran. 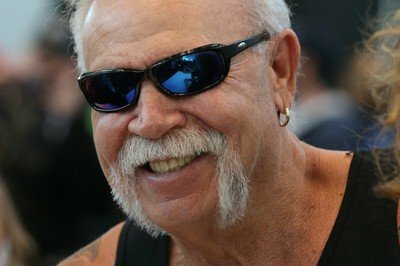 Orange County Choppers Autograph Signing with Paul Sr. – Get an autograph from the big man himself, mustache and all. Automotive Career Fair – Budding young gearheads looking to turn their passion into a career are encouraged to attend the Automotive Career Fair, where they’ll be able to talk to industry reps and learn about possible job opportunities. West Point Band Performance – In case you missed the opening ceremonies, the West Point Band will be performing once again later in the week. 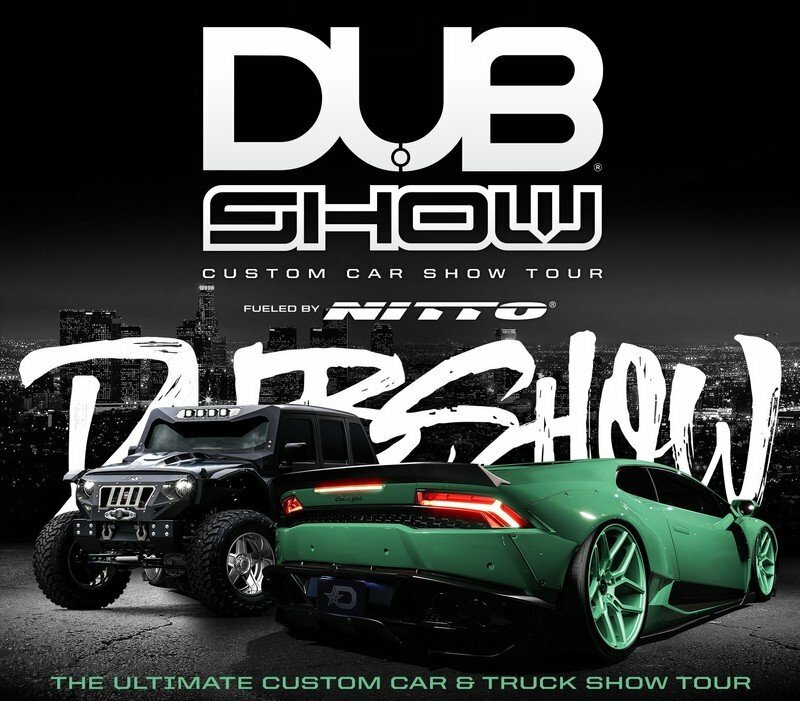 The Dub Show Tour – Lots of customized rides courtesy of DUB Magazine, from supercars to off-roaders. There will also be opportunities for guided group tours led by an automotive expert throughout the duration of the show. For a complete breakdown of all the show events, plus a schedule, click here. When you’re done at the show, New York offers a ton of exciting things to do. Highlights include the Museum of Modern Art, Central Park, Museum of Natural History, the Statue of Liberty, and the Empire State Building, plus world-class shopping and dining (don’t forget to try the pizza). The first New York Auto Show was held at Madison Square Garden on November 3rd, 1900. Afterwards, the event was moved to the Grand Central Palace, followed by the New York Coliseum in 1956, at which time the show adopted its “International” designation. In 1987, it was moved once again, this time to the Jacob K. Javits Convention Center, where it currently remains. 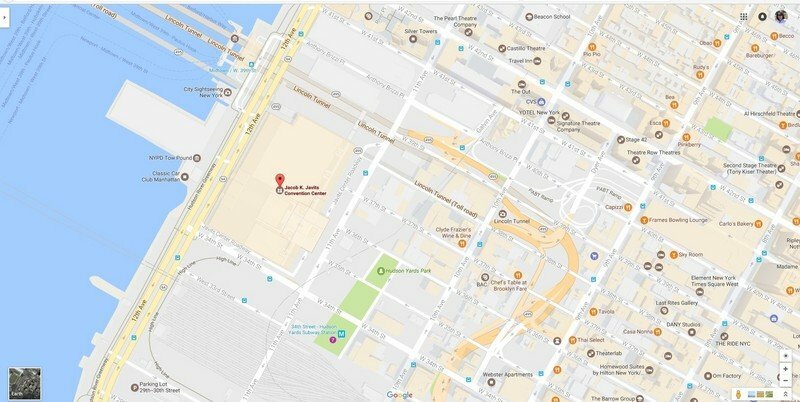 For information on exhibitor locations inside the venue, please click here. Transportation options are plentiful, and include onsite parking for anyone driving there, as well as several mass transit options through Metro North, LIRR, the NY Waterway Ferry, subways, and buses. For a complete breakdown on transportation options, click here. As for hotels, NYIAS and onPeak have collaborated to offer attendees discounted rates, including group rates. You can find more information by clicking here. First up are the press preview days, which take place Wednesday, April 12th, and Thursday, April 13th. This is when all the big debuts and sheet pulls will happen, and TopSpeed will be covering the latest and greatest, so check back here as the show gets underway! After the journalists leave, the public is invited to attend, with general access available between Friday, April 14th, and Sunday, April 23rd. Show hours are between 10 AM and 10 PM, Monday through Saturday, and 10 AM to 7 PM on Sundays. The official opening day is on Saturday, April 15th, with festivities kicking off at 8:30 AM, and floor access opening at 10 AM. Tickets cost $17 per adult. Child tickets (ages 12 and under) cost $7. Group rates are available ($15 per person). Early access and ticket bundles with round trip fare on the NY Waterway are also available. Tours with an automotive expert start at $55. You can find more information and buy tickets now by clicking here, or you can buy onsite. Tickets are not expected to sell out. What’s that? You want a Chevy Tahoe, but it’s gotta have the heart of a Corvette? “Sure thing,” says the Bow Tie, “done.” That’s the formula for the Tahoe RST, which gets 420 horsepower and 460 pound-feet of torque thanks to a 6.2-liter V-8 powerplant under the hood, complemented by the usual performance upgrades, such as a louder exhaust system from Borla, plus-sized wheels, magnetic suspension, and big brakes. It also looks the part thanks to upgrades to the exterior, such as a monochromatic color scheme. Finally – a special edition that’s actually, you know, special. If you’re looking for something with all the trappings of an SUV, but would prefer the more attractive body style of a wagon, then Subaru has you covered with the refreshed Outback. The list of updates for the 2018 model year include new styling for the front and rear fascia, plus LED daytime running lights. The cabin is equipped with Apple CarPlay and Android Auto support, two USB ports in the rear, and either a 6.5-inch or 8.0-inch touchscreen in the dash. Meanwhile, motivation is derived from either a 2.5-liter four-cylinder or a 3.6-liter six-cylinder. The suspension was also retuned for a more refined ride, but you still get that SUV-like capability thanks to nearly 9 inches of ground clearance, plus standard AWD grip. Mitsubishi is still clinging to life in the U.S market, and the Outlander is one of its last real lifeboats. Updates for the 2018 model year include the usual nips and tucks, such as a restyled front end, tweaked rear fascia, and LED day time running lights, while the interior gets a slightly revised layout and support for both Apple CarPlay and Android Auto. Optioned with the Touring Package, you can also get safety tech like lane departure warning and automatic high beam headlights. Making the go is the same powerplant as before, with 168 horsepower provided by a 2.4-liter four-cylinder routing to the front axle as standard. AWD is offered as well. The Ram 1500 Rebel was already a badass truck to begin with, but it never hurts to add extra awesome with a new special edition, right? Enter the Blue Streak, an upgraded 1500 Rebel with an extra splash of exterior enhancements to make it even more of a looker, arriving with a fresh hue for the body panels. Further options include the Rebel Black package and a two-tone paint scheme, if desired. Inside you can get either cloth or leather upholstery, plus there’s an 8.4-inch touchscreen in the dash. Arriving alongside the Blue Streak is another special edition Ram 1500 – the Sublime Sport. Unlike its azure counterpart, the Sublime is draped in a lime green paint scheme, plus it’s got 22-inch wheels and some complementary black trimmings as well. Announced with a gloriously smoky burnout video, the Sublime Sport package will be offered on Ram 1500 models outfitted with a Crew Cab and 5.7-liter Hemi engine. Don’t forget the in-your-face hood stripes, either. The Volvo XC60 arrives in New York this year to make its North American debut, following a full reveal in Geneva last month. The SUV now enters its second generation after a full nine years on the market, and gets a host of upgrades to boot. For the body panels, we find a handsome exterior design, moving the older generation forward with fresh lines, LED lighting, chrome trim, and very Volvo-esque taillights. The interior is equally nice, and comes equipped with new technology like a “CleanZone” climate control system and the latest safety and convenience features. Some of the coolest stuff, however, is under the hood, where the Swedes offer a variety of powerplant options, taking cues from the XC90. Kicking it off is a turbo four-cylinder making 250 horses, followed by a twin-charged (that is, turbo and supercharged) four-cylinder making 316 horsepower. Sitting at the top of the food chain is a plug-in hybrid making 400 horses. There’s something just so intrinsically right about a ballin’ Range Rover in NYC, and JLR is fulfilling that dream with this – the Velar. 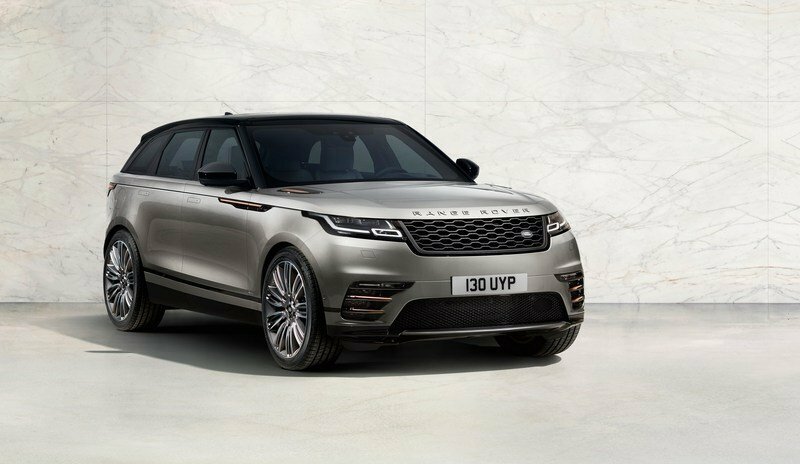 Framed as a stopgap between the Evoque and Range Rover Sport, the Velar brings two rows of luxury inside and quintessential style on the outside. Using the same bones as the Jaguar F-Pace, the Velar arrives sporting either a 2.0-liter diesel four-cylinder, a 2.0-liter gas four-cylinder, or a blown 3.0-liter six-cylinder. It looks fantastic, and with 10-inch digital screens, endless premium materials, and even a little bit of off-roading competency, the Velar should suit the tastes of many. If you’re FCA, there’s one surefire formula for pleasing the masses – Hellcat all the things. Because after all, when you’ve got a blown 6.2-liter V-8 making over 700 horsepower in your back pocket, enthusiasts will inevitably beg for it in a variety of packages. 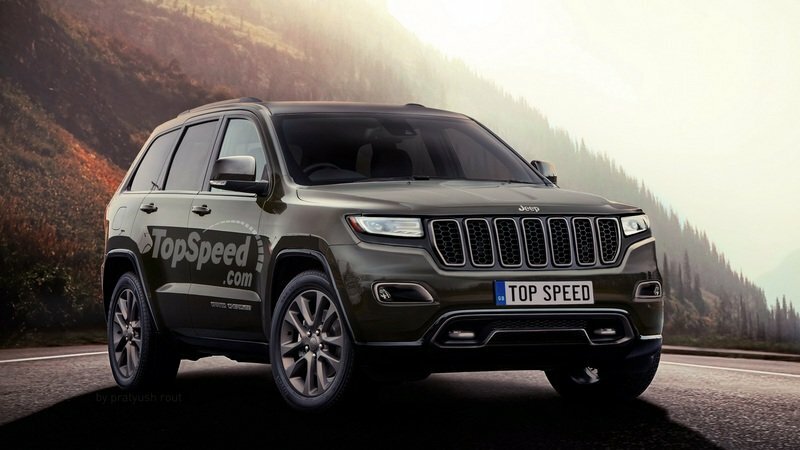 Thankfully, FCA has acquiesced and blessed the Jeep Grand Cherokee with Hellcat power. 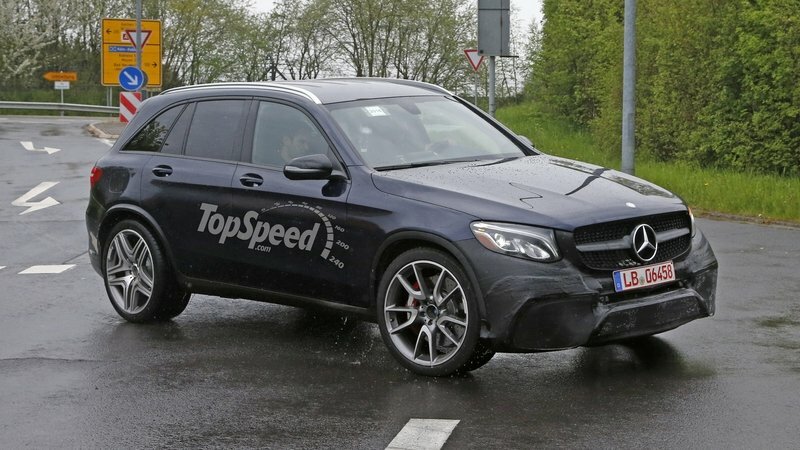 Thanks to all that output and a fair amount of AWD grip, the large-and-in-charge SUV manages to hit 60 mph in 3.5 seconds, while running the quarter mile in 11.6 seconds at 116 mph. Big brakes, Bilstein adaptive dampers, and healthy respect for physics keeps it shiny side up. 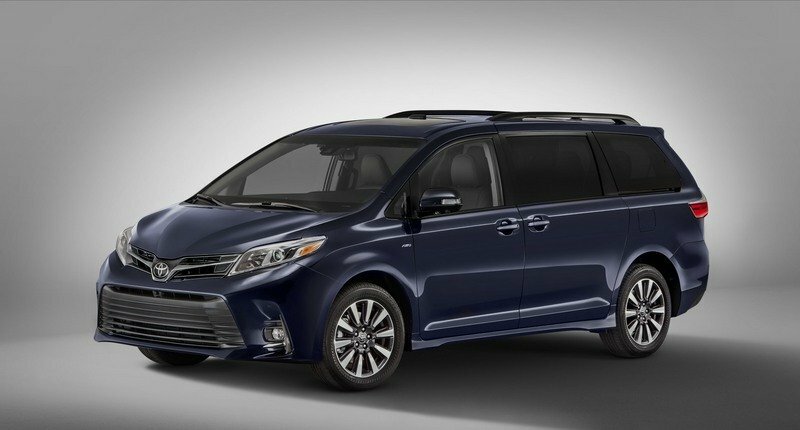 The Sienna minivan has had the same generational designation since 2010, and it’s looking like 2018 will mark the eighth year the third-gen model has been on the market. However, despite this, the new updated model is promising a good amount of upgrades to help it feel relatively fresh. The exterior, for example, gets a few new pieces here and there, with updates being most noticeable in the front fascia. A few new paint colors are also on the table. Inside the cavernous interior, you get extra USB ports, streaming capability for Android devices, and a Bird’s Eye Monitor. The engine is the same 3.5-liter six-cylinder as before, making just under 300 horsepower. Buick is taking a chance with the new Regal, releasing it as a wagon to a marketplace more concerned with SUVs and crossovers. We’re pleased, though, especially since the new Regal TourX looks pretty good, and offers a nice assortment of soft-roader features, such as taller suspension, tough under cladding for the body, and standard AWD grip. The interior is also nicely appointed with a 7.0-inch infotainment screen and Apple CarPlay/Android Auto support, while motivation is derived from a turbo four-cylinder engine making 250 horses. Buick has refreshed its popular seven-passenger Enclave with a host of new touches designed to introduce the automaker’s new sub-brand – Avenir. Avenir promises top –shelf opulence throughout its lineup taking after the Avenir concept sedan that was revealed in 2015. As such, the Enclave Avenir gets all kinds of premium features, like LED lighting, in-cabin air ionization, and high-quality materials for the trim and upholstery. Android Auto and Apply CarPlay are supported, and there’s an 8.0-inch digital display for the gauge cluster. The engine package consists of a 3.6-liter V-6, which produces 302 horsepower and 260 pound-feet of torque through a nine-speed automatic transmission and AWD system. The Enclave should be the first of many products to come from Avenir, so keep an eye out. 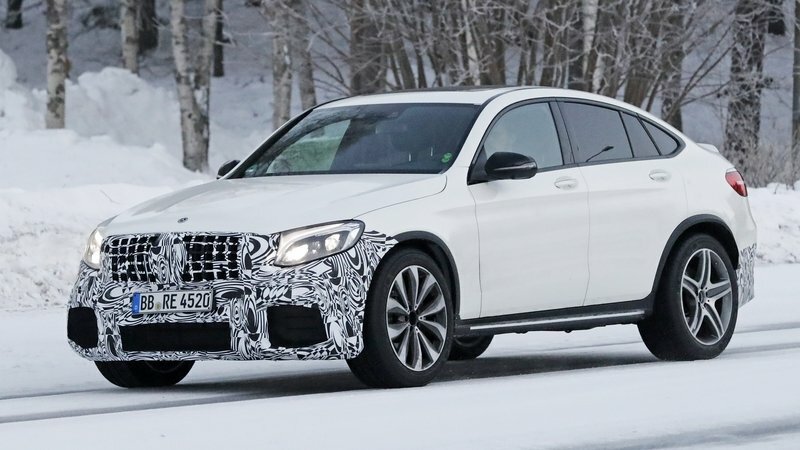 Following hot on the heels of the GLC43’s debut last year at the New York Auto Show, the new GLC63 model has bared all at this year’s event. Buyers can get it one of two power levels, including the base model, which makes 476 horsepower, and the S model, which makes 510 horsepower. A turbocharged V-8 is on deck for both. Further details include 19-inch wheels, AMG-branded interior appointment, a nine-speed automatic transmission, a 4Matic+ AWD system, and multiple drive modes affecting everything from the adaptive suspension, to an active flap in the exhaust. You can also get yours with a swoopier coupe-like roofline, if desired. Read the full review for the GLC63 here. Read the full review for the GLC53 Coupe here. Nothing says Blue Oval SUV quite like the mid-size Explorer, and to keep its popularity high, Ford has unveiled a mild refresh at the New York Auto Show. Outside, we find a new grille design and slightly reworked front fascia, plus a chrome finish for the quad tail pipes. Inside, there’s the option for a 4G Wi-Fi hotspot, plus seating for up to seven passengers. The powertrain, however, remains unaltered, offering either a four-cylinder or six-cylinder engine and up to 365 horsepower. A six-speed automatic and optional 4WD put it to the pavement. Last year at the New York International Auto Show, Lincoln brought along a concept for the Navigator offering eye-catching styling, large exterior dimensions, a very sleek cabin space, and more than a few ideas destined for the cutting room floor. This year, Lincoln decided to unveil the production version, and happily, it brings much of the concept’s good stuff along for the ride. We think it looks great, with big, bold lines and plenty of shiny trim. The cabin is equally attractive, and arrives well equipped with tech. Power is derived from a twin-turbo V-6 engine. The Golf is still going strong after all these years, and to keep it fresh, VW is updating the sixth-gen for the 2018 model year. Changes are limited to LEDs for the taillights and daytime running lights, as well as the option for full LED headlights. The cabin gets a larger touchscreen, while select trim levels throw in 17-inch aluminum wheels. It’s a modest set of updates, but should keep the hatch feeling new for interested customers. The LS nameplate has been around for a while, first appearing in 1990 as the preeminent model in the entire Lexus range. The latest version of the flagship, the LS 500 *** https://www.topspeed.com/cars/lexus/2018-lexus-ls-500-ar166656.html *** , dropped cover at the Detroit Auto Show earlier this year, and now the premium Japanese brand is offering up a sportier iteration called the LS 500 F Sport. Upgrades include improved handling chops by way of new electronic aides for the braking, steering, and suspension, while the exterior was tweaked to offer more aggressive styling. Inside is an exclusive steering wheel. The powertrain remains the same, with a six cylinders creating 415 horsepower. Now that it’s officially three years old, the Acura TLX is getting a facelift for the 2018 model year to keep it going strong. 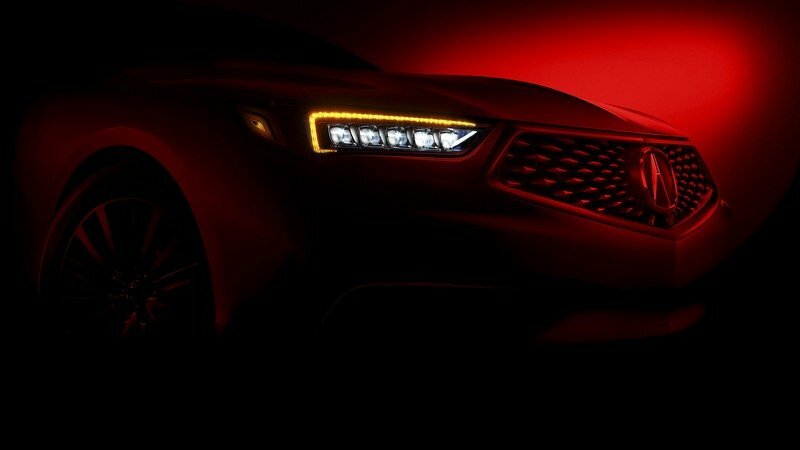 Outside, there’s a good deal of aesthetic enhancements, including a new front end and a reshaped grille and intake that offers a similar look to what Acura previewed with its Precision concept car. There’s also an upgraded A-Spec trim level that equips a 3.5-liter V-6 engine producing 290 horsepower and 267 pound-feet of torque, and comes with available AWD. The A-Spec also gets a unique exterior look, plus dark-finished 19-inch wheels in the corners. We think the A-Spec might be a smart alternative to the pricier German standards of the segment. The Honda Clarity is known as the H badge’s answer to the Toyota Mirai, with both models offering hydrogen-powered motivation and a four-door body style in a bid to push towards the future of green transportation. To help it gain a little traction in the here and now, Honda is expanding the Clarity line with two new powertrains under the hood, including a plug-in hybrid variant, and an all-electric variant. The hybrid uses a 1.5-liter four-cylinder and electric motor combo to make a combined 105 MPGe, while the electric offers 80 miles per charge and is topped off in 3 hours from a 240-volt source. Meanwhile, the Clarity FCV continues on as is in its mission to bring hydrogen to the masses. In addition to the new Sienna, Toyota is giving us a look at the refreshed Yaris hatchback. Outside, the fascia gains new angles, including in the grille, plus chrome pieces are added here and there. In the corners are updated 16-inch alloys, while the cabin gains an updated infotainment system with an available 7.0-inch display. The interior is draped in new fabric upholstery. The same 1.5-liter four-cylinder from the previous model resides under the hood. 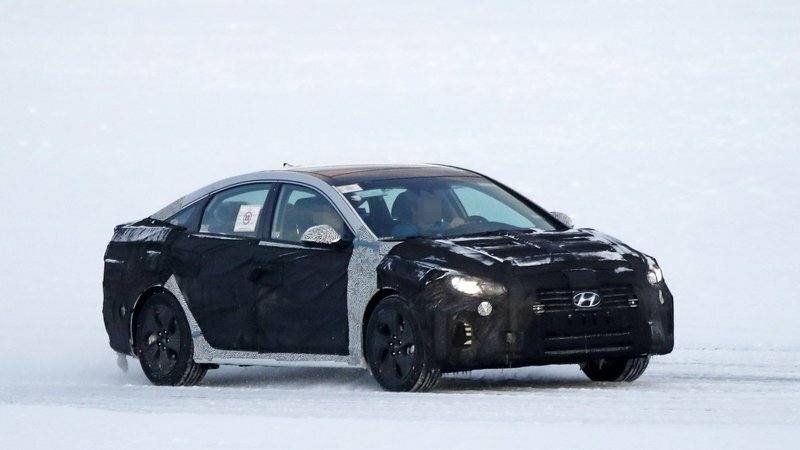 The Sonata, Hyundai’s standby mid-size sedan, has enjoyed its current generation since 2015, so its time for a facelift for the 2018 model year. Included in the update is a lot of good stuff, starting with new styling that enhances the front fascia with a tweaked cascading grille design, LED lighting, a “more assertive profile,” and new taillights. Mechanically speaking, the transmission options now include an eight-speed automatic, which is pared to a 2.0-liter engine producing 245 horsepower. The cabin also gets a 7.0-inch touchscreen display and optional wireless device charging capabilities. In all, the updates make the new Sonata a decent choice for the day-to-day A-to-B. The Agera has been around since 2011, with numerous iterations popping out from Koenigsegg’s Angelholm workshop over the years. The latest is the RS, and the RS1 is the first example hot off the production line. 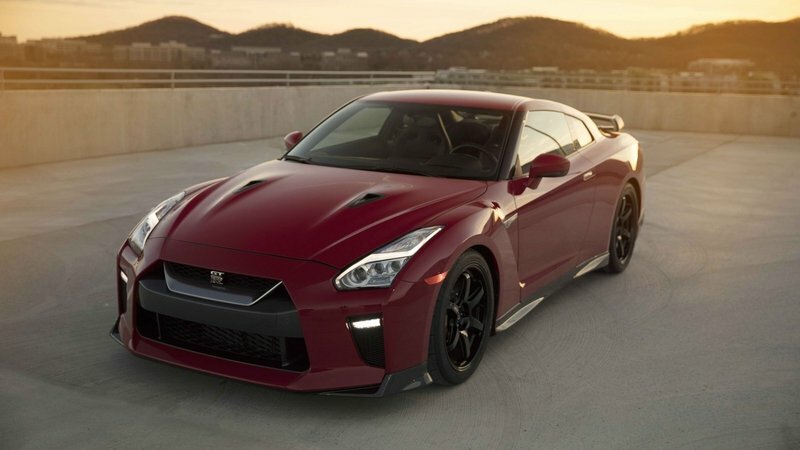 It’s got all the mechanical goodies you’d expect, including a twin-turbo 5.0-liter V-8 pushing out 1,360 horsepower and 1,011 pound-feet of torque, all of which hits the rear wheels through a seven-speed automatic transmission. That makes it fast, capable of reaching 62 mph in 2.8 seconds, but the RS1 is also rather enjoyable to look at, boasting Arctic White paint and a blue Alcantara interior. The R8 is a formidable weapon on the track, raking in a large number of victories, especially in the realm of endurance road racing. As such, Audi is offering up this latest GT4 iteration for privateer efforts in race series across the world. Scheduled to make its first grid appearance at the Nurburgring 24 Hours in May, the R8 LMS GT4 gets updated aero, competition-spec Pirelli tires, and an all-business interior spec. Power is provided by the same 5.2-liter V-10 as the road car, which is tuned to produce roughly 500 horses. As if to complement the new racer, Audi is also offering up a fresh street-legal special run of the R8 dubbed the Sport Edition. It’s essentially a nod to the nameplate’s competition successes, and arrives complete with custom silver, red, and black exterior colors, as well as new wheels. Inside, there are new kickplates, updated upholstery, and new trim as well. Meanwhile, the V-10 under the hood makes the same 540 horsepower as before. Only 200 units will be produced in total. The Z is, without a doubt, one of Nissan’s most famous sports cars. It’s been around since 1969, and has enjoyed no fewer than six generations since it was first introduced. The model’s current-gen offering the 370Z, was first introduced in late 2008, and by all accounts, a new model should be just over the horizon. However, for the time being, Nissan is attempting to breathe some new life into the 370 with this special edition model. Upgrades include tweaked headlights and taillights, updated trim colors, smoke chrome door handles, and a new clutch for cars with a stick shift. The rest of it goes more or less unchanged, including the 3.7-liter V-6 engine under the hood. It’s been 65 years since the original Corvette arrived on the scene in 1953, and to celebrate the anniversary, Chevy is playing a bit of dress up with the seventh-gen model. Offered on the Grand Sport 3LT and Z06 3LZ trim levels, the Carbon 65 Edition adds beefed-up composite elements to make it stand out visually, such as a new rear spoiler and new intake surrounds. There’s also a new carbon door kick plate, side-view mirrors covers, and a Jet Black interior color scheme. Meanwhile, the performance remains the same, with two V-8’s on tap, including outputs at either 460 horses or 650 horses, depending on the trim. 650 units will be produced in total. If you were paying attention to the Beijing Auto Show last year, the third-gen Audi TT-RS might be a bit of old news. Nonetheless, the sharp little Four-Ring speed bubble will finally come stateside in 2017 to offer us a look at Audi’s idea of two-door luxury spiced with speed. Helping the TT-RS standout from the regular TT model is a more aggressive exterior design, with silver trim up front and twin oval exhaust tips in the rear. The interior also comes with sporty elements, such as well-bolstered seats and a flat-bottom steering wheel. Making it go is an updated five-cylinder engine turbocharged to 400 horsepower, enough to propel the AWD sports car to 60 mph in just 3.6 seconds. Top speed is rated at 174 mph with the governor deactivated. There are more than a few interesting rides on display in New York this year, but none of them get us as animated as this latest from the folks over at SRT. As if the Challenger Hellcat wasn’t insane enough, the Demon ups the ante even further with more power and additional features to absolutely dominate the 1320. 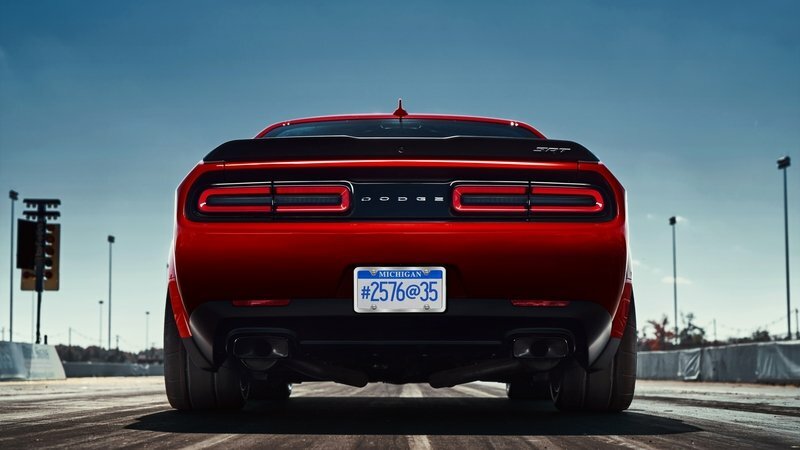 The Hellcat’s 707-horse engine was upgraded to produce a total of 840 horsepower and 770 pound-feet of torque, good enough for a sprint to 60 mph in just 2.3 seconds. Keep your foot down, and you’ll run the quarter mile in an astonishing 9.65 seconds at 140 mph. Complementing the newfound output is a wide-body exterior, skinny front tires, Nitto drag radials, and a litany of performance tricks tip to tail. Move over King Kong – there’s a new monster in town. Godzilla is headed for the Big Apple, and it’s bringing some new goodies to make it bigger, badder, and even more capable than before. Designed with even more body rigidity, specialized suspension tuning settings, NISMO-spec tires, 20-inch wheels, and carbon fiber aero, this thing is just shy of a track-only, street-illegal beast. Under the hood is the same twin-turbo 3.8-liter V-6 as before, but that’s okay considering it’s pumping out 565 horsepower and 467 pound-feet of torque. Extra aural enhancement comes courtesy of a standard titanium exhaust system. With the wild-looking Civic Type R making its way stateside for the New York International Auto Show, the H-badge has decided to bring some backup in the form of the new Civic Si. Think of it a stopgap between the more pedestrian base-model Civic and the outrageous Type R, both in terms of the looks and performance. 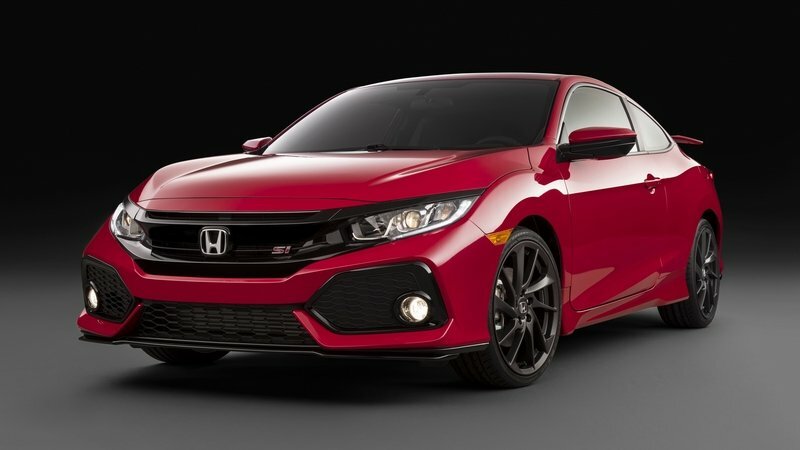 In the nose, the Si mounts a turbo 1.5-liter four-cylinder making 205 horsepower and 192 pound-feet of torque, besting the Civic Touring by about 30 horses and 20 pound-feet, respectively. Inside the cabin space is a 7.0-inch display and support for Apple CarPlay and Android Auto. All in all, it’s a zesty proposition, and should provide decent sub-R thrills. We’re rather fond of the F-Type. After all, with its British good looks and traditional sports car drivetrain layout, plus the huge 200-mph top speed potential of the SVR model, what’s not to like? To keep the ball rolling, Jag has ushered in a new entry-level model equipped with a turbo 2.0-liter four-cylinder engine producing 296 horsepower and 295 pound-feet of torque, enough to propel the U.K. cat to 60 mph in 5.4 seconds. Top speed is rated at 155 mph. Meanwhile, those killer good looks and lovely interior remain as they should be. What do you get when you combine an SUV with jacked-up suspension and a four-piece of meaty rubber treads? Say hello to the Rogue Trail Warrior, a go-anywhere crossover ready to tackle Mother Nature’s gnarliest off-road sections. Nissan made something similar last year at the Chicago Auto Show with the Winter Warriors concepts *** https://www.topspeed.com/cars/nissan/2016-nissan-winter-warrior-concepts-ar172449.html *** , which makes this one a bit of a repeat if you replace the dirt with snow. Nonetheless, we love seeing Dominator tracks on just about anything, which makes the Trail Warrior most welcome indeed. Complementing the sizable treads is an LED light bar, yellow tint for the headlights and windshield, and a winch. Unfortunately, the engine package goes unmodified. Hey Nissan – how about next time, you do the whole tread mod thing for the GT-R? 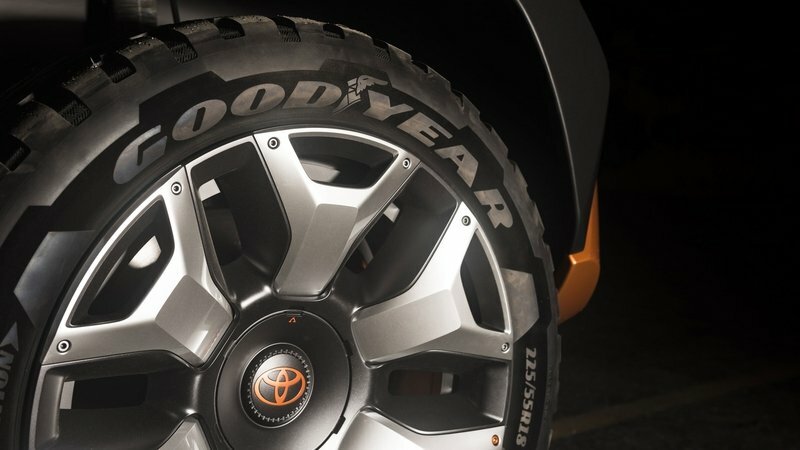 Toyota is offering up a brand-new concept in New York this year, bringing lots of off-roader touches with a funky looking style. The wheels are shod in chunky rubber that looks about right for a run in the rough stuff, while the hard angles and creases in the body panels are drenched in a searing shade of orange paint. Inside, there are several useful items, such as a cold box for snacks, and a warm box to keep gloves toasty, not to mention tons of space to haul whatever it is you need to enjoy the great outdoors, from bikes to dogs. LED’s are used for illumination, and there’s a GoPro mount built into the rearview mirror to help document the adventure. Infiniti’s QX80 SUV was first introduced nearly 15 years ago bearing the nameplate QX56, and eventually adopted the current designation in 2014. As we wait for the new-gen to arrive, Infiniti is offering up this concept as a preview of things to come. The styling is similar, but different, sporting a large mesh grille in the nose and slim LED headlights. The wheels are large at 24 inches in diameter, and arrive in a two-tone finish with black and copper coloring. It’ll be interesting to see where the brand takes the new look when it comes time to put it into production. As we all know, police chases have traditionally carried the connotation of thumping V-8 power, but Ford has another take on that tradition with this electrified concept car. It’s the first “pursuit rated” hybrid ever created, boasting enhancements like new suspension, bullet-proof armor, a spotlight, and a rear seat you can hose off, all of which is paired with 38 mpg from a 2.0-liter ICE and electric motor combo, potentially saving a bundle in fuel costs. Then there’s the advantage of running silent on electric power only, which should be useful for sneaking up on the baddies. Subaru is known for producing some rather spiffy-looking concepts, followed by some less-impressive production iteration. Hopefully that isn’t the case with the new three-row Ascent, which we think looks quite good just the way it is. Up front you’ll find C-shaped headlights and a dramatic grille insert, while the profile shows off a muscular stance and beefy wheel and tire combo. The interior looks even better, with individual captain’s chairs in the middle row and lots of touchscreens. And of course, the engine configuration is in the flat boxer layout and gets connected to a standard AWD system to ascend whatever you need to ascend. The Genesis brand has a good thing going with its G90 sedan flagship, but to really see some sales in the U.S., the luxury automaker needs an SUV model in its lineup. As such, the GV80 arrives in New York as a premonition of things to come. Highlights include a novel-looking exterior style, and a very cool interior layout complete with broad horizontal lines and high-end upholstery. Digital instrumentation pervades throughout, including a 22-inch dash display. Genesis also boasts this thing gets a new plug-in hydrogen powertrain.